Here we talk about solid silicone,is kind of silicone compound of rubber.Silicone rubbers are widely used in industry, and there are multiple formulations. Silicone rubbers are often one- or two-part polymers, and may contain fillers to improve properties or reduce cost. We supply Solid silicone rubber raw material to used for manufacturing silicone phone case/cover,silicone wristband/bracelet,cake mold/bowl,cup mats/coaster.kitchen appliances,Keyboard accessories, key holder,keychains, Massage Cushion,phone holder,3d key chains toys,silicone watch band,Silicone Wallets & Purses,Hand Sanitizer Holders etc silicone promotional gifts.Also use for make some electronic products case or parts,like speaker cover,headphone case. Solid silicone rubber raw material,it is transparent color and hard. original solid silicone more fast. For import solid silicone rubber to your country,what’s certificate need? 2.SGS test or ROSH.some country need,some country no need. We are professional solid silicone rubber and silicone color pigment factory,all of certificate we already get.We have more than 14 years experience in manufacturing and 7 years of export and offer secure shipping options with reliable freight forwarders with whom we have been cooperating for many years.If you have any questions or concerns about shipping and importing, just send us an email and we will get right back to you. 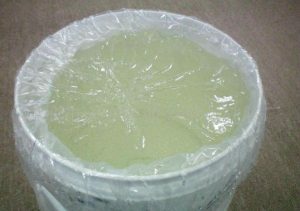 How about solid rubber raw material packing?